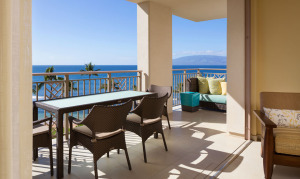 Whether you choose to spend your days exploring the island of Maui or lazing about on the soft sand of the island’s signature beach, Hyatt Ka’anapali Beach, A Hyatt Residence Club resort promises to offer the ideal home base for any Hawaiian escape. 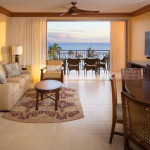 Surrounded by breathtaking oceanfront views, azure skies and the majesty of the Pacific Ocean, this is paradise. 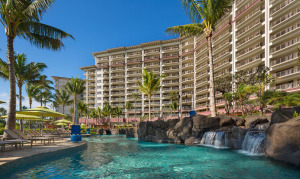 Experience an awe-inspiring Hawaiian island escape at Maui’s premier beachfront destination. 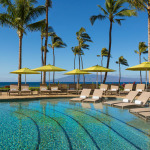 Hyatt Ka’anapali Beach, a Hyatt Residence Club Resort, offers elegantly appointed one-, two- and three-bedroom villas with expansive lanais, ocean views, gourmet kitchens with stainless steel appliances and luxurious master baths with free standing tubs and separate showers. Situated on beautiful Ka’anapali Beach in Lahaina, Hawaii, and surrounded by 40 lush acres of our resort, this island sanctuary is designed to rejuvenate your mind, body and soul. Swim with the family in our zero-entry lagoon pool or lounge at our infinity relaxation pool with ocean views. Cool off with a refreshing drink at Pau Huaka’i, our beachfront Tiki Bar or stroll over to the Ka’anapali Beachwalk. Grab a bite at the Lahaina Provision Company, a gourmet market and deli serving delicious food and wine to go. 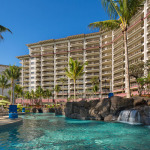 If fitness is part of your vacation, recharge in at our state-of-the-art Ikaika (strength) center. 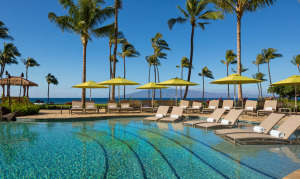 As a guest of Hyatt Ka’anapali Beach resort, you will have access to all the fabulous amenities at the Hyatt Regency Maui Resort & Spa, including restaurants, bars and spa treatments. Set up a tee time with our concierge, rent a paddle board, or enjoy a picnic in your cabana the pristine white sand beach. Enjoy unparalleled service and an uninterrupted Hyatt experience throughout our breathtaking Lahaina resort on the Island of Maui. Comments: Just listed! 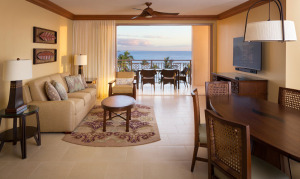 A great price for a week in Maui!